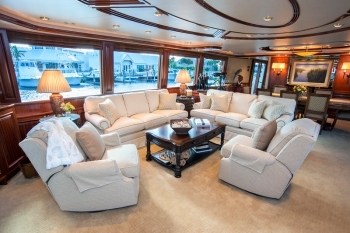 The 112′ Westport, WILD KINGDOM, is based in Nassau, Bahamas and Newport, Rhode Island during winter and summer respectively. 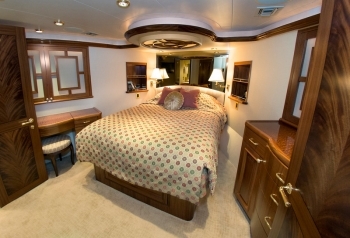 Accommodating eight guests, she charters for $49,500 a week throughout the year, except during Christmas and New Year when she is $55,000 a week. 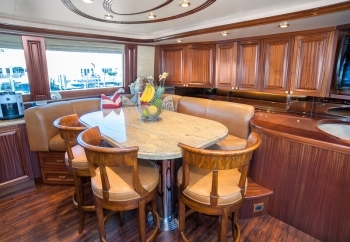 Food, fuel, bar, and dockage are not included. 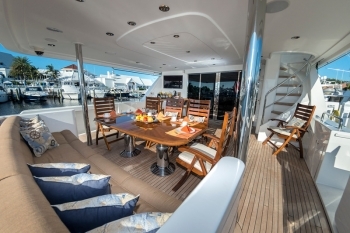 These run about 30% of charter fee, which is paid via a Cash Advance to the yacht’s stakeholder a month in advance…. 4% Bahamian tax is also extra…. 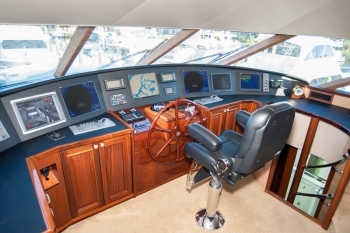 She has five excellent crew, including a captain from Melbourne, Australia, who has a 3000 ton MCA Master of Yachts captain’s license; that is huge! Tony discovered his love for the ocean at an early age sailing around his home town of Melbourne, Australia. After acquiring a Degree of Engineering at Melbourne University, he undertook his apprenticeship at sea, moving up the ranks while traveling the world on a diversity of vessels, and attained the MCA Master of Yachts 3000 Ton license in 2002. Tony’s enthusiasm for catering to guests comes as natural as his ability to orchestrate the ultimate experience. His “can do” attitude, and “hands on” approach guarantees the safety and worthiness of his vessel. His experience and amicable personality makes him a favorite for other crew members to team with. 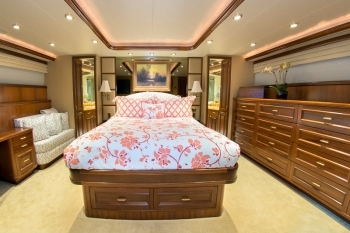 Tony has captained the classic 92’ M/Y Diane and 92’ S/Y Opium in the Mediterranean. 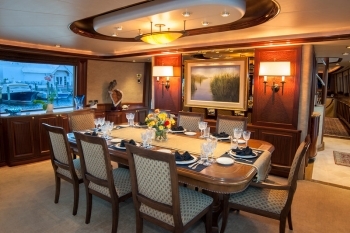 In the United States, Bahamas and Caribbean, he has Captained 106’ M/Y Contigo, 74’ M/Y Casamar, 130’ M/Y Tranquility and 140’ M/Y Lady Gayle Marie. 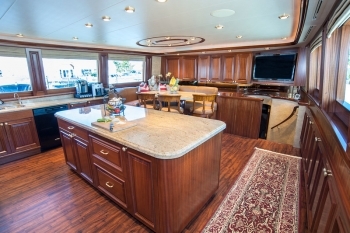 During his time off, Tony and his wife enjoy cooking and entertaining friends at his home in Florida. 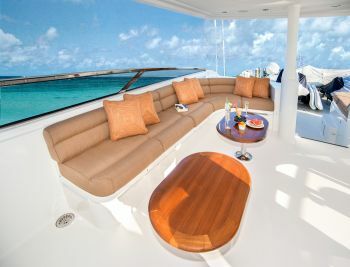 and 123’ M/Y Let It Be. In her spare time, Marlyn enjoys spending quality time with family and friends, long walks, and watching the sunset from a quiet beach. Earning a Bachelor of Science in Radiologic Technology, Susan has trained to take care of guests since she was a student. Upon graduation, Susan worked as an X-Ray technician at a medical clinic in the Philippines. For the past 13 years, Susan has worked on numerous yachts including the 457’ Prince Abdulaziz, 98 ‘La Diva, 131’ Natita II, and the 186’ Bad Girl. With a broad range of experience, including silver service, Susan has developed an invaluable skill set for our team. With an unparalleled work ethic and passion for perfection, Susan is dedicated to ensuring you have a fun and relaxing experience. When Susan is not on board, you will find her with her children, soaking in destinations around the world on long walks, and taking care of her body and mind with some peaceful yoga. Dan was born and raised in Marblehead, Massachusetts spending his summers cruising New England on his parents’ boat. A childhood on the water taught Dan to love and respect the ocean. Pursuing his passion for being on the water he attended college at Massachusetts Maritime Academy to study Marine Transportation and graduated from Quinnipiac University with a degree in Entrepreneurship & Management. 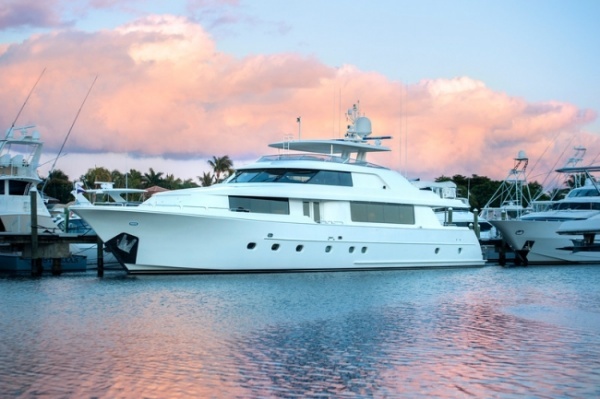 With a desire to see the world by ocean, yachting was the perfect industry for Dan to achieve his goals. Over the last five years, Dan has refined his skills in safety and proficiency as well as developing a keen eye for detail to keep the yacht looking pristine at all times. A water sports enthusiast, Dan has experience working with young kids in all aspects of water based activities, and is always keen to show you how to enjoy your time above and below the water safely! Dan holds a USCG 100 Ton license and MCA AEC Engineering certificate. He is continually his studying and upgrading his qualifications. Before joining Wild Kingdom, Dan was the Sole Engineer on the 131’ M/Y CV-9, Mate/Engineer on the 82’ M/Y Tauri, and the Deckhand on the 116’ M/Y Silver C. When not working, you will most likely find Dan wandering a new city with his camera, exploring on a mountain bike, hiking, snowboarding, or playing in the water wake boarding, scuba diving, or kite boarding. 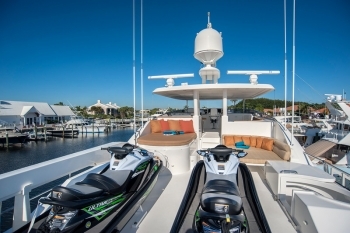 Up on the sundeck, guests have a choice of stretching out on the sunbeds, soaking in the Jacuzzi, or enjoying the shade beneath the hardtop. 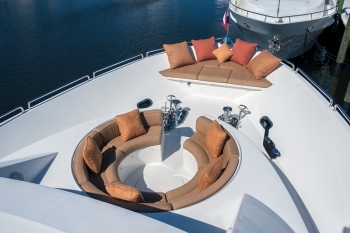 This elevated perch is an especially popular spot for surveying the sights when the yacht is underway. 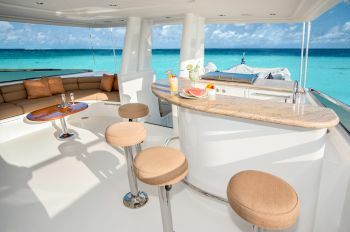 As soon as the day’s destination is reached, the crew can quickly lower the water toys overboard, creating even more room to relax. 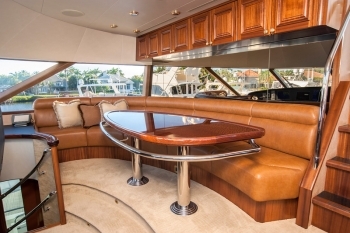 Up on the bow, a circular banquette invites conversation and offers a great view of the crew deploying the anchor or bringing the yacht alongside a dock. 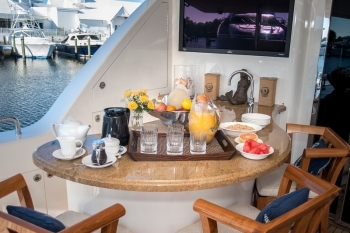 A few steps down from the sundeck, the wheelhouse’s curved settee and table make a convenient place to read, look after a little business, or observe the skill with which the captain handles the boat. 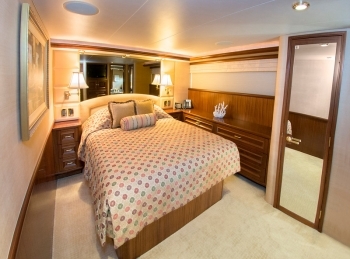 All four of WILD KINGDOM’s guest staterooms are appointed with personal entertainment systems and ensuite bathrooms enhanced with fine marble. French doors lead through a private foyer into the full-beam master, with king bed, desk, settee, large closet, and ample drawers. 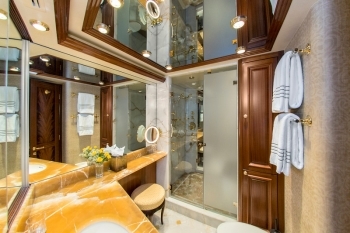 The suite’s his-and-her facilities are connected by a central shower. 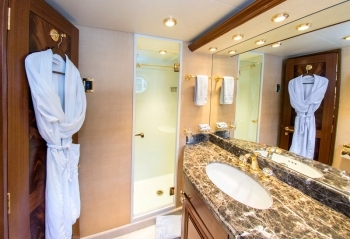 A queen stateroom and a twin stateroom are also located on this level. 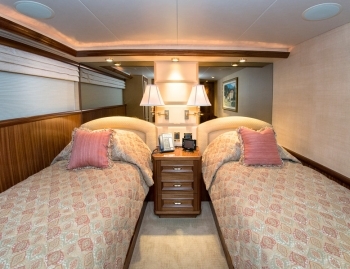 The VIP stateroom, on the main deck, has a private entrance and is a particularly peaceful sanctuary.